Brazil won its fourth Confederations Cup title, in the midst of a series of protests that have been happening in the country since at least June 6, 2013 [en]. The demonstrations have gained momentum and have become a significant national event [en] that is not only against the increase in bus fare, but also against the expenditures for the 2014 World Cup [en]. On June 30, as Fred and Neymar scored goals at Maracanã stadium in Rio de Janeiro, members of the Popular World Cup Committee (Comitê Popular da Copa) and the Forum for the Fight against the raise in Busfare (Fórum de Lutas) made a series of claims, including against the privatization of Maracanã stadium and against the 2014 Cup. A contingent of nearly 10,000 police officers were activated to deal with the demonstrators and there was a confrontation between them on the outskirts of the stadium. Teoria da conspiração: Esse jogo foi estranho d+. A Espanha dormiu durante 90 min, parece ser arranjado. Resultado final, brasileiros esquecendo dos problemas. 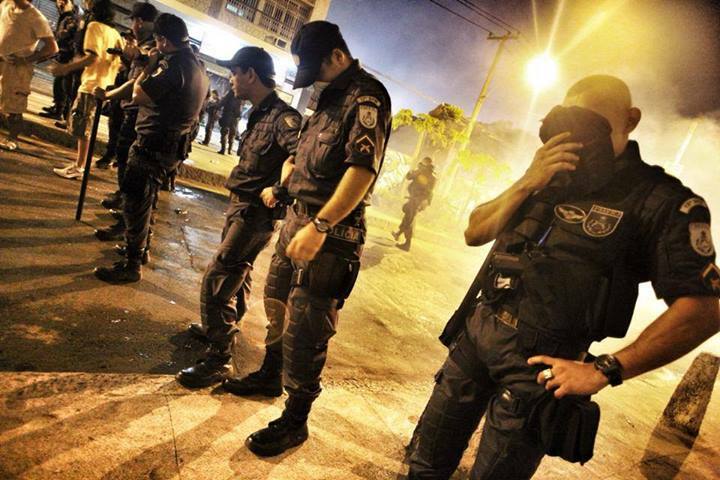 A unit of the Rio Military Police is accidentally hit by tear gas bombs from the riot police. Among the effects of the weapon are burning of the skin and eyes, a lack of air, and a burning feeling in the throat. /Midia Ninja/ Image used with permission. Inside the stadium, the demonstration was also felt. The effects of the pepper spray used by the police to disperse protestors reached FIFA volunteers and spectators. 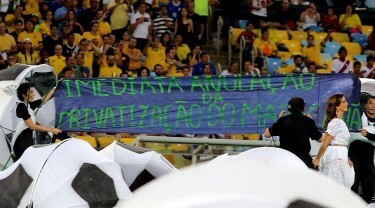 Two dancers that were part of the performance opened a banner against the privatization of Maracanã stadium. At the Fonte Nova stadium, Italy beat Uruguay with penalties, guaranteeing third place in the Confederations Cup. 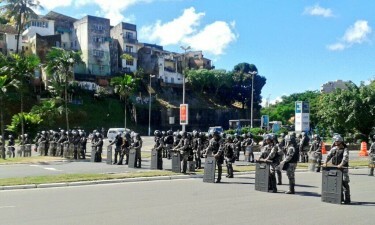 Outside the game, approximately 500 protestors of the Free Fare Movement of Salvador (Movimento Passe Livre Salvador) marched towards Fonte Nova stadium, but the police stated that there were no clashes. 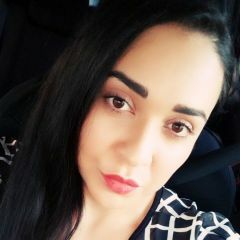 Agents of the Bahia Military Police created fake profiles on Twitter and Facebook to monitor the exchange of information between members of the protests on social networks. 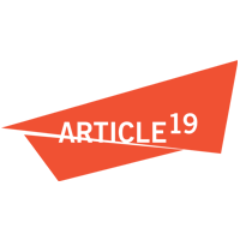 The objective was to identify and neutralize the leadership of the movements, as reported by investigative journalism agency A Pública.